As you may have noticed, our banner and kennel has changed names. For seven years my kennel has been known as "East Tennessee Dingos". I have officially changed the name to "Nature's Way Carolina Dogs" in order to better reflect what we are and what I do. 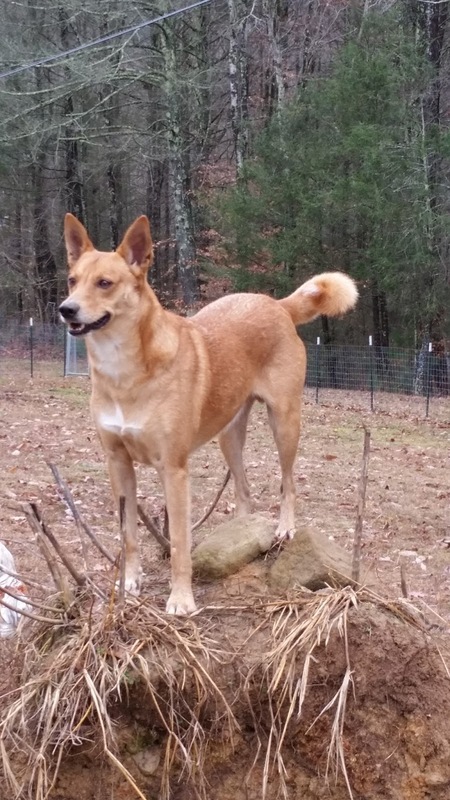 Carolina Dogs are not Dingoes and are not related to Australian Dingoes, any more than they are related to coyotes or foxes. Carolina Dogs are classified as Canis Lupus Familiaris and Australian Dingoes are classified as Canis Dingo. Years ago, the slang name for CDs was American Dingo, and it was widely accepted. This was because when the CD was first discovered and a breeding program began they were thought to be related to the Aus. Dingo. But as DNA science and research has progressed that theory has not been proven. 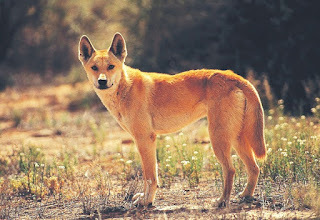 Australian Dingoes and Carolina Dogs do look similar, but Carolina Dogs look like Pariah Type Canines all over the world, such as in Korea, China, India, and many other areas of the world. That look and general behavior is called LTPM, Long Term Pariah Morphotype. You will see that referred to in the many scientific articles I have shared in my blog. Using the slang name Dingo as part of my kennel name has caused some confusion. Commonly calling Carolina Dogs "American Dingos" has even began to precipitate some breed specific prejudice, landlords not allowing pets called "American Dingos", and also so called AD's not being allowed on public transportation or in public places. Anyone who knows a CD, knows they are not aggressive dogs, and are not wild, especially wild like the true Australian Dingoes & New Guinea Singing Dogs. I know families that have both Carolina Dogs and Australian Dingoes/ NGSD and there are vast differences in their behaviors. We do not want BSL to happen to our special & precious loving Carolina Dogs, hence the distancing from the slang name "Dingo". Dr. 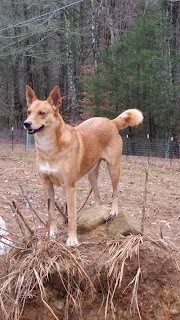 I. Lehr Brisbin and the Carolina Dog Society(official breed society via UKC), along with most breed enthusiasts and scientists as well, are now discouraging the misnomer American Dingo in favor of the official name Carolina Dog. The other reason I renamed my kennel Nature's Way Carolina Dogs is to better reflect what I do with my CDs, how I raise them differently. 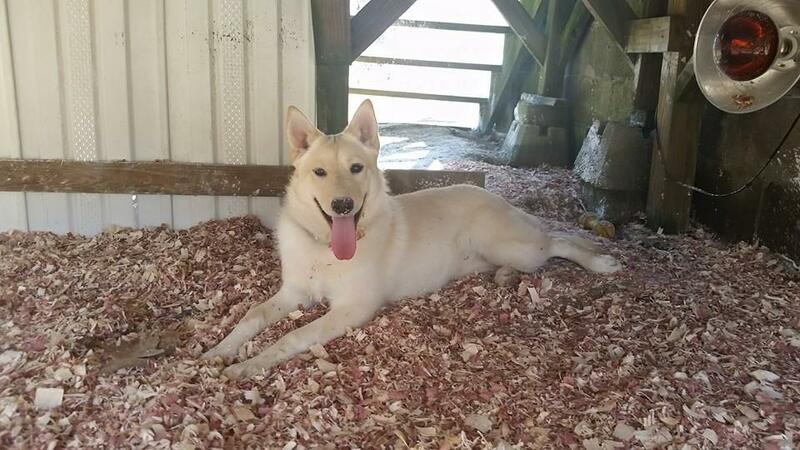 My focus is to raise exceptional, thriving, healthy, breed standard Carolina Dogs for families that understand and appreciate the concepts of Natural Rearing. I have seen the dis-ease that conventional rearing can wrought upon dogs, especially generation after generation of Conventional Rearing, and my goal is to continue a line of CDs that are not dis-eased from the destruction of health that kibble, vaccinations and chemicals can cause. I believe in Natural Rearing so much that I decided to further my education in this field with courses at American Council of Animal Naturopathy. I am pursuing my Naturopathic Carnivore Nutrition Coach, Natural Rearing Breeder and Small Animal Naturopathy certifications in my spare time between raising a family, raising exceptional Carolina Dogs and my other obligations. To learn more about Natural Rearing please search through the pages and blog posts on this site, and visit my professional consulting and information website Nature's Way Pets . 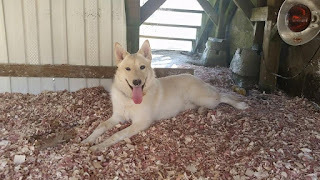 I will probably not be changing the ETD name to NWCD in all my old blog posts, and it will take some time to change it in all of my website's static pages but I will be using Nature's Way Carolina Dogs in all new posts and pages. I hope that you will also do your part to correct misconceptions with use of the slang name and attempt to always refer to our special breed as Carolina Dogs.